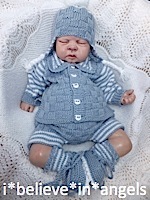 KNITTING PATTERN KSB 58 *COOKIE* TO MAKE CARDIGAN, PANTS, BEANIE HAT AND BOOTIES FOR A BABY BOY OR REBORN DOLL. THIS IS THE PATTERN TO MAKE A SWEET COOKIE, LITTLE SET FOR A BABY BOY (ALTHOUGH IT WILL LOOK LOVELY MADE IN PINKS TOO FOR A LITTLE GIRL). IT HAS A CARDIGAN WITH A GORGEOUS DETAILED YOKE (SURPRISINGLY SIMPLE TO KNIT) AND FANCY HEM. THE SAME DESIGN IS REPEATED ON THE BEANIE HAT, AND THERE ARE STRIPED PANTS AND DETAILED BOOTIES TO MATCH. THE SETS ARE MADE IN DOUBLE KNITTING (US. LIGHT WORSTED, AUS. 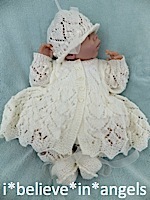 8PLY) TO MAKE A SET TO FIT A 16 INCH CHEST NEWBORN 0 - 3 MONTH BABY OR REBORN DOLL. THE SETS REQUIRE AND AMOUNT OF SKILL, ALL OF THE DETAILS ARE INCLUDED TO MAKE THE SETS AS THE PICTURES. 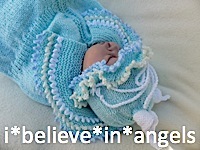 #KSB 57 KNITTING PATTERN KSB 57 *HOP SCOTCH* TO MAKE CARDIGAN, PANTS, HELMET AND BOOTIES FOR A BABY BOY OR REBORN DOLL. THIS IS THE PATTERN TO MAKE A CUTE LITTLE SET FOR A BABY BOY (ALTHOUGH IT WILL LOOK LOVELY MADE IN PINKS TOO FOR A LITTLE GIRL). IT HAS A CARDIGAN WITH LITTLE SPLIT VENTS IN THE SIDES, AND A STRIPED COLLAR, A PAIR OF PANTS, A HELMET WITH EAR FLAPS AND OF COURSE A PAIR OF MATCHING BOOTIES. KNITTING PATTERN KSB 56 *VALENTINA* TO MAKE MATINEE COAT, CARDIGAN, DRESS, CLOCHE HAT AND BOOTIES IN 2 SIZES FOR NEWBORN BABY OR REBORN DOLL. THIS PATTERN IS ALL HEARTS! TO MAKE A LOVELY FULL MATINEE COAT, AND A CARDIGAN WITH A BAND OF HEARTS AT THE HEM. A MATCHING DRESS AND ALSO A CLOCHE HAT AND A PAIR OF BOOTIES. THE PICTURES TELL ALL! I HAVE LOVED COMPILING THIS PATTERN. THE SETS CAN BE MADE IN EITHER, 4PLY (US. SPORT WEIGHT AUS. 5 PLY) TO MAKE A 14 INCH CHEST SET TO FIT A SMALL NEWBORN BABY, OR DOUBLE KNITTING (US. LIGHT WORSTED, AUS.  8PLY) TO MAKE A SET TO FIT A 16 INCH CHEST NEWBORN 0 - 3 MONTH BABY OR REBORN DOLL. THIS PATTERN IS TO MAKE A FANCY COCCON AND A MATCHING HAT AND BOOTIES. BASIC KNITTING SKILLS ARE REQUIRED BUT PICTURES ARE GIVEN TO SHOW DETAILS OF HOW TO PICK UP THE LOOPS FOR THE FRILLS. ALSO THE ZIP COULD BE REPLACED BY PRESS STUDS IF YOU WANT. TO MAKE A SET TO FIT A 16 INCH CHEST NEWBORN 0 - 3 MONTH BABY OR REBORN DOLL. 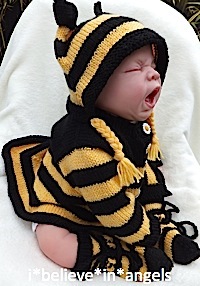 THIS PATTERN IS TO MAKE A DEAR LITTLE STRIPED BUMBLE BEE SET, WHICH COMPRISES OF A FULL SHORT LEGGED ROMPER SUIT, A COAT WITH A POINTED TAIL BACK, A HELMET WITH LITTLE KNOTTED ANTENNAE, AND A PAIR OF STRIPED SOCKS. THE SET IS MADE IN DOUBLE KNITTING (US. LIGHT WORSTED, AUS. 8PLY), USING 4.00 AND 3.25MM STANDARD NEEDLES. 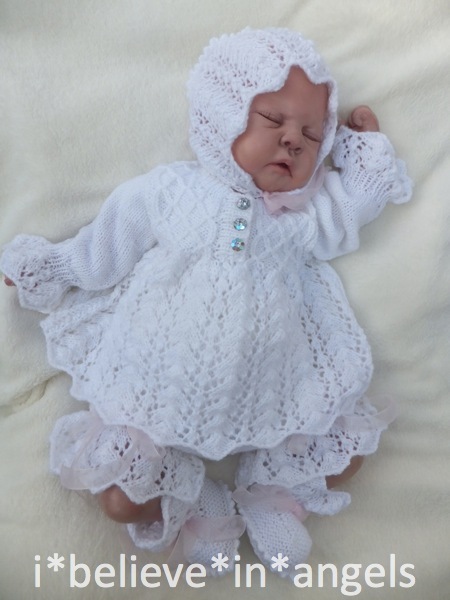 TO FIT A 16 INCH CHEST NEWBORN 0 - 3 MONTH BABY OR REBORN DOLL. QUITE SIMPLE AND VERY ENJOYABLE TO MAKE, BUT AN AMOUNT OF SKILL AND KNOWLEDGE OF BASIC KNITTING SKILLS REQUIRED, AND ALL OF THE DETAILS ARE INCLUDED TO MAKE THE SETS AS THE PICTURES. KNITTING PATTERN KSB 53 'HUGS and KISSES' TO MAKE MATINEE COAT AND CARDIGAN WITH BEANIE AND BOOTIES IN A CHOICE OF YARN WEIGHTS AND SIZES. THIS PATTERN IS TO MAKE A DEAR LITTLE SET TO COMPLIMENT 'FAITH and HOPE' A MATINEE COAT AND CARDIGAN WITH BEANIE HAT AND BOOTIES, WITH AN EASY MOCK CABLE PATTERN. THE COAT AND CARDIGAN HAVE A YOKE WHICH INCORPORATES THE TWIST DESIGN. THE MOCK CABLE IS MADE UP FROM AN EASY TWIST STITCH AND DOES NOT INVOLVE CABLE NEEDLES. ALSO THE COAT IS KNITTED AS FRONTS AND BACK AS FAR AS THE YOKE. 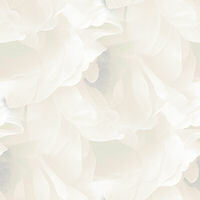 THE SETS REQUIRE AND AMOUNT OF SKILL, HOWEVER IT IS LOVELY TO MAKE, ONE OF THOSE DESIGNS TO GO BACK TO AGAIN AND AGAIN. ALL OF THE DETAILS ARE INCLUDED TO MAKE THE SETS AS THE PICTURES. #KSB 52 KNITTING PATTERN KSB 52 'FAITH and HOPE'..TO MAKE MATINEE COAT AND CARDIGAN WITH BONNET AND BOOTIES IN A CHOICE OF YARN WEIGHTS AND SIZES. 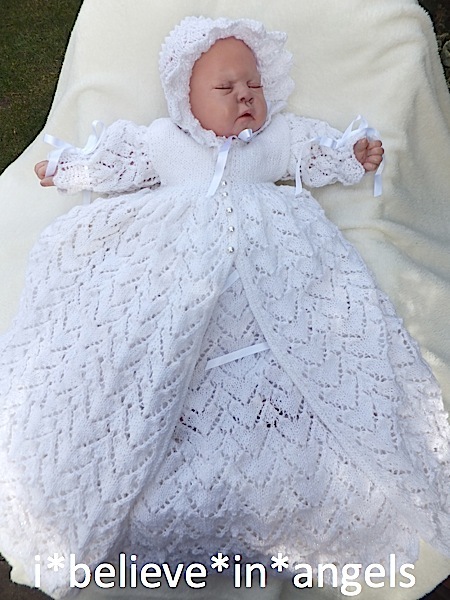 THIS PATTERN IS TO MAKE LOVELY SCALLOPED VINTAGE INSPIRED, LACY MATINEE COAT AND CARDIGAN BOTH WITH A SCALLOPED YOKE, A MATCHING BONNET AND BOOTIES. #KSB 51 KNITTING PATTERN KSB 51 TOOTSIE..TO MAKE A CHRISTENING GOWN AND COAT, A SNUGGLE DRESS AND A DRESS SET WITH BONNET AND BOOTIES. THIS PATTERN IS TO MAKE A LONG CHRISTENING GOWN AND MATCHING LONG COAT WITH A FRILLED BONNET AND MATCHING BOOTIES. ALSO THERE IS A LONG SNUGGLE DRESS WITH A DRAWSTRING BOTTOM AND A SHORTER LENGTH DRESS SET ALL TO MAKE FROM THE SAME PATTERN. THIS IS AN ENJOYABLE SET TO KNIT, AND THERE IS NO SHAPING THROUGH THE PATTERN. YOU WILL NEED SOME DEGREE OF SKILL, BUT AS ALWAYS ALL OF THE DETAILS ARE INCLUDED. 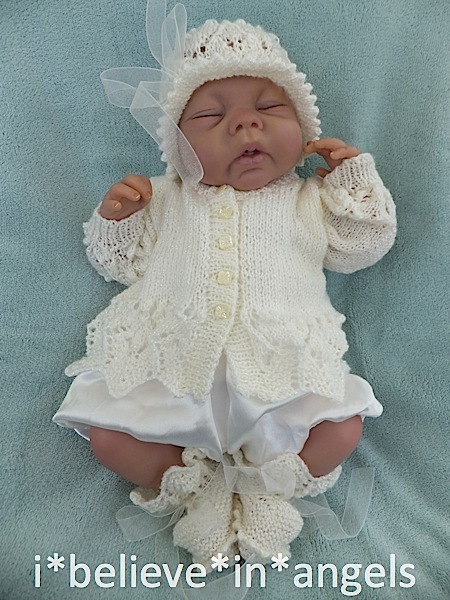 THIS PATTERN IS FOR LOW BIRTHWEIGHT OR PREMATURE BABIES, OR SMALL REBORN DOLLS.. THE MATINEE JACKET HAS A CHOICE OF 6 DIFFERENT SKIRTS, AND THERE ARE MATCHING LEGGINS, HATS AND BOOTIES. THE SETS CAN BE MADE OUT OF COMPLIMENTARY ODDMENTS, EACH SET TAKES ABOUT 175 - 200GMS IN TOTAL. 3 - 5LBS AND 5 - 8LB FOR THE LARGER SIZE. 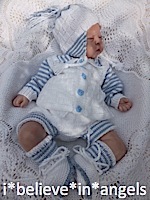 THIS IS A DEAR LITTLE SET COMPRISING OF A SMOCK FROCK, A PAIR OF BLOOMERS, A HAT AND A PAIR OF BOOTIES. THERE IS ALSO A VARIATION TO MAKE A MATINEE COAT WHICH IS A BIT WIDER THAN THE FROCK TOP. THE SKIRT OF THE COAT IS LACY GOING INTO A KNITTED SMOCK TOP WHIH IS SURPRISINGLY EASY TO KNIT, JUST TO MAKE IT REALLY SIMPLE I HAVE GIVEN PICTORIAL INSTRUCTIONS TOO. I HAVE REALLY LOVED MAKING THESE SETS, THEY LOOK GOOD ARE CHALLENGING ENOUGH TO BE INTERESTING, YOU WILL NEED SOME DEGREE OF SKILL, BUT AS ALWAYS ALL OF THE DETAILS ARE INCLUDED. 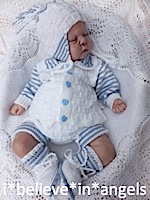 MADE IN UK DOUBLE KNITTING (US SPORT, AUS 5PLY) AND TO FIT A 0 - 3 MONTH BABY, 16 INCH CHEST, OR FULL SIZED REBORN.